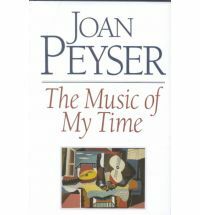 Musicologist, biographer, journalist for the New York Times, the first woman to head the journal The American Quarterly (1977/1984), Joan Peyser, who died in 2011, was an important figure in contemporary musicology in the United States.He focused his studies on the music of the twentieth century, dedicated to the many musical expressions of the last century; with a predilection for art music, sure, but without forgetting the best expressions of that popular. 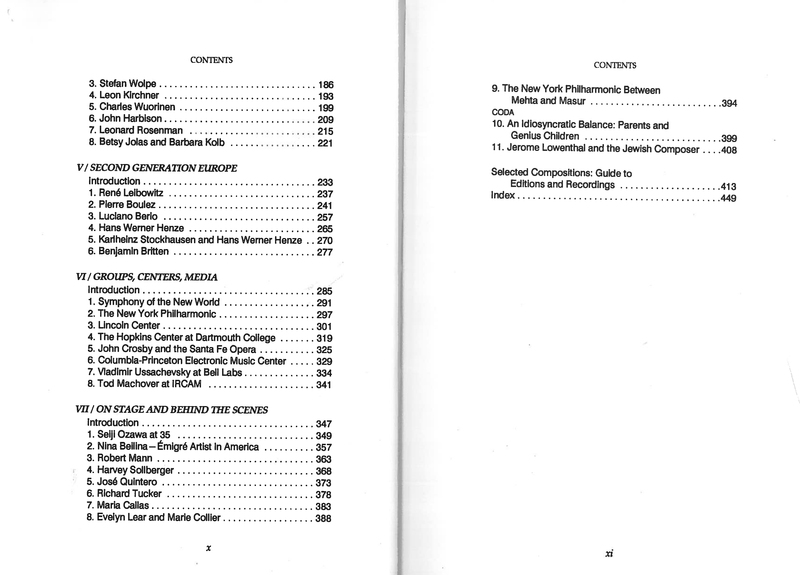 She is the author of relevant biographies (Leonard Bernstein, Pierre Boulez, George Gershwin), but in this publication has gathered a considerable amount of articles published mostly on the New York Times over a period of time ranging from the mid-sixties until the last eighties . 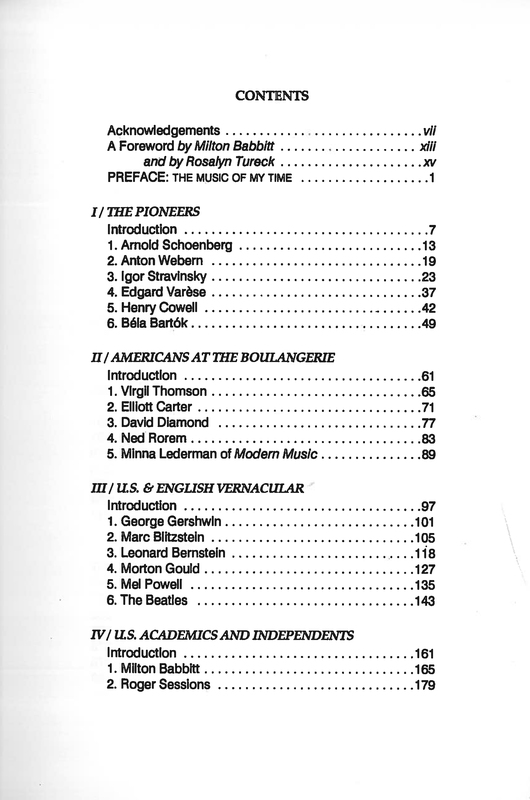 There are not many pages dedicated to electronic music, but I found two interesting items for computer music, in addition to that of Pierre Boulez in which is mentioned his computer experience with the Ircam: one dedicated to the experience of Tod Machover in Paris, the other focused on the first visit of Vladimir Ussachevsky to Max Mathews’ Bell Labs. A curiosity: the original title of this article, published in the New York Times in 1968, went like this: Seven Times the Computer Said No: Vladimir Ussachevsky at New Jersey’s Bell Telephone, in reference to the number of attempts made with the punch cards before getting a validation of the code by the machine.